Sundays, 2 - 3:30 p.m.
Freud considered dreams to be the royal road to the unconscious, but they are far more than that. Dreams unveil aspects of life existing before our very eyes but hidden by our assumptions. Within each of us, a genius exists whose special intelligence has chosen us as its subject and seeks to awaken us from the slumber of waking perception. It comes as a voice that becomes audible when the chatter of waking life abates and then it whispers the secrets that we need to know, urging us on towards a fuller embrace of life. Come and join us as we explore the wider vistas existing within and all around us through the exploration of the incredible world of our dreams. Our goal is simple: to bring our dreams, to share them, and to reacquaint ourselves with their intriguing and poetic language. Our goal will be to examine the dream with the understanding that it brings to us an expression born of a remarkable intelligence, one invested in our development, and one whose nature asks of us to be drawn into its own world and to be changed by such entry. While not a psychotherapy group, all material brought into our group will be held as strictly confidential. Our group will be limited to 8 participants who will meet weekly over eight sessions. This format is needed both for us to become familiar with the style and feel of each other’s dreams and to become acquainted with one another. We will meet for one and a half hours every week, Sundays, from 2-3:30 p.m. beginning January 7, 2018. The fee is $50 per week, a total of $400 for the 8 weeks. 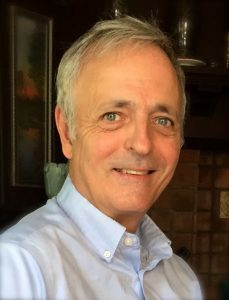 Mark Dean, MA, ATR-BC, LPC, Diplomate Analyst, is a Certified Jungian Psychoanalyst and Board Certified Art Therapist who specializes in the significance of imagery in the analytic and psychotherapeutic process. His background was in the fine arts, having had an extensive exhibiting career and being the recipient of the National Endowment for the Arts Award. He has been working as a psychotherapist for the past 26 years, currently instructs at Arcadia University, and has lectured widely on the role of image in psychological experience. Mark is a member of the Inter-Regional Society of Jungian Analysts, the Philadelphia Association of Jungian Analysts, and the International Association of Analytic Psychology. Together with his wife, Michelle, Mark is a co-founder of the Center for Psyche & the Arts, an organization dedicated to furthering an understanding of the arts and imagery in psychological work and life.